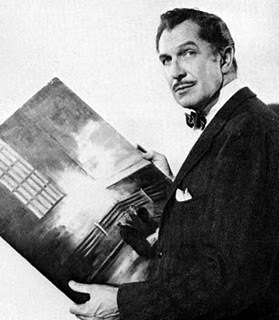 Vincent Price was a collector of fine art, and amassed much of his collection in the house I posted pictures of yesterday. 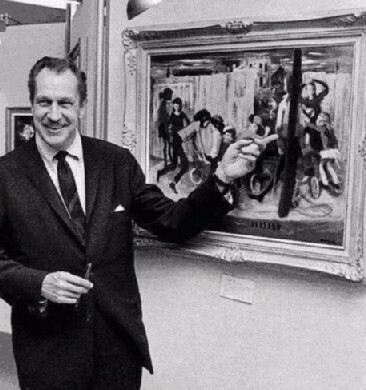 He believed that everyone should be able to enjoy fine art in their own homes, too. 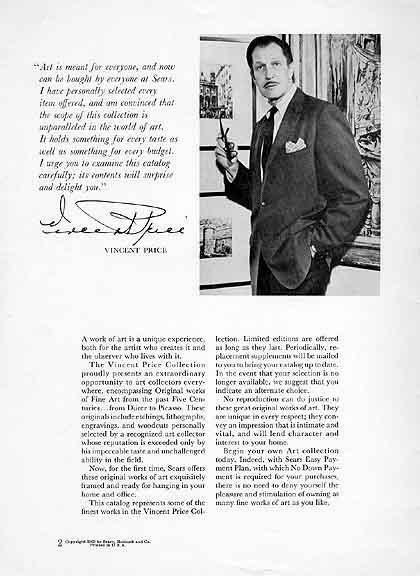 Thus the Vincent Price Fine art collection was born, offering original fine art at affordable prices. 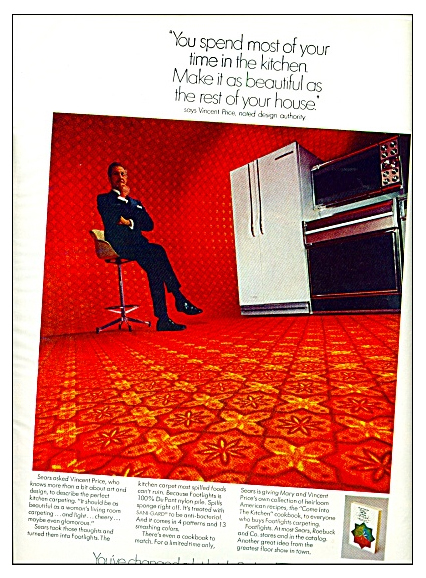 This collection was offered through Sears Roebuck stores nationwide, which is kind of amazing to think about nowadays. 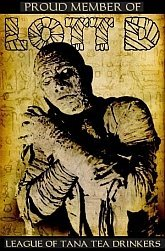 A national chain of department stores offering original works of art by masters as well as modern artists, all spearheaded by an actor best known for HORROR pictures? Vincent searched throughout the world for original paintings to purchase for Sears, and as he mentions in the video below he was given carte blanche to buy any works of art he thought suitable for the collection. According to the Sears Archive online he purchased entire collections and even commissioned such famous artists as Salvador Dali to create original works of art specifically for this collection. This really speaks to the enormity of Vincent’s popularity at the time. 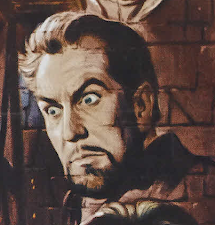 Between 1962 and 1971 more than 50,000 pieces of fine art were sold through the Vincent Price collection, and they pop up on Ebay from time to time. Vincent was a true renaissance man of many talents, and even something of an artist himself, although he denies it in the video below.